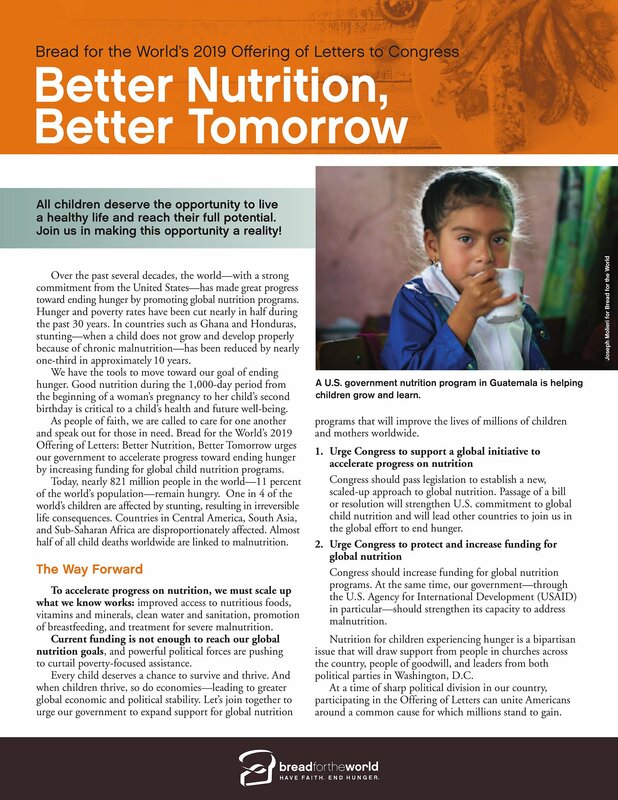 toward ending hunger by promoting global nutrition programs. one-third in approximately 10 years. birthday is critical to a child’s health and future well-being. by increasing funding for global child nutrition programs. half of all child deaths worldwide are linked to malnutrition. of breastfeeding, and treatment for severe malnutrition. a healthy life and reach their full potential. Join us in making this opportunity a reality! the global effort to end hunger. political parties in Washington, D.C.
around a common cause for which millions stand to gain.